What happens when you combine one of the most esteemed product design and “innovation consultant” firms in the world, a highly respected custom bike builder, and the latest battery technology and then tell them to build the ultimate utility bike? 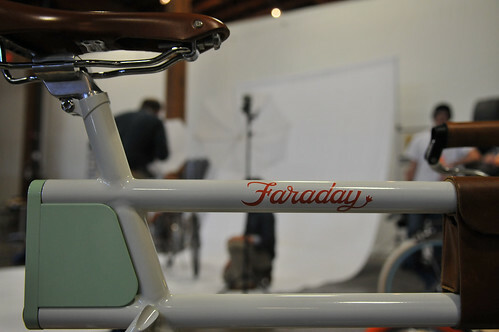 According to team member Adam Reineck (from IDEO) the idea behind the Faraday was to create an e-bike with as much integration of batteries as possible. They also wanted to make it powerful enough to not only give an extra boost, but to do so with a significant load as well. 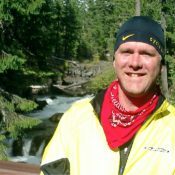 “It feels like you’ve always got a tailwind,” remarked Reinick. An e-powered tailwind would sure come in handy in hilly San Francisco where this team is based. Electric motors power both the bike (via a front hub motor with internal routing of all cables of course) and some seriously bright lights (see below). The lithium-ion batteries are the same ones used in the brand new Chevy Volt and they’re only about 2 inches in diameter — which makes them fit perfectly into the Faraday’s twin top tubes. At the rear of the battery-concealing tubes is a service access bay with a custom electrical board made by the IDEO team. 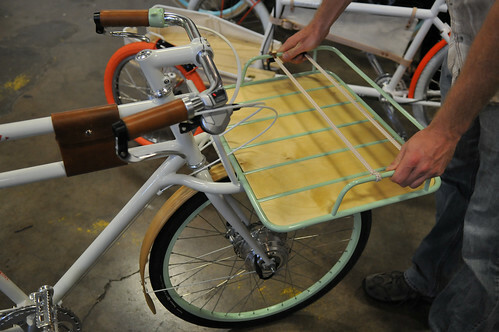 Another very impressive feature of this bike is the front rack. It can be removed and put on in just a few seconds thanks to a very clean and strong trigger bolt (for lack of a better word) system. 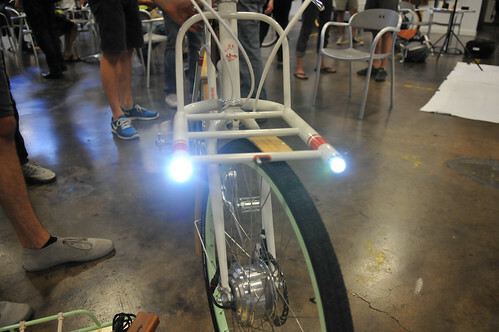 Once the rack is off, the twin front lights are revealed. They call them lights but I call them laser beams. These things not only look cool, they are blindingly bright. This bike, along with all the entries will be on display to the public tonight at Pacific Northwest College of Art (1241 NW Johnson) starting at 7:00 pm. — You’re reading coverage of the 2011 Oregon Manifest. View my full photo gallery here, browse past coverage here and visit OregonManifest.com for full details. Wonderfull job! Great attention to detail! 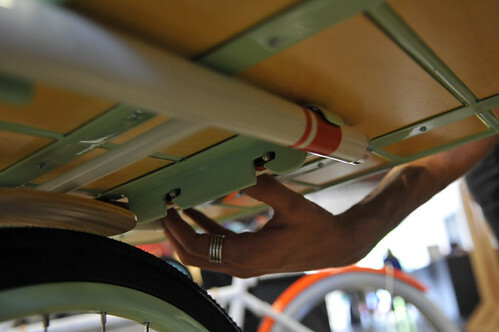 Removable front rack tray–very good thinking. It can be hard to lock these bikes with wide front cargo bays to staple racks otherwise–or at least that has been my experience. Also I’m going to guess this bike has a rather short seat post, eh? How do they get around that little intersection? 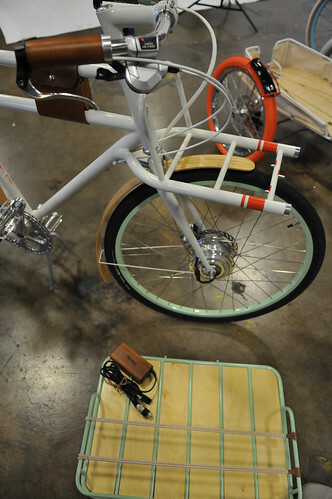 I would expect that the batteries are in front of the seat tube. 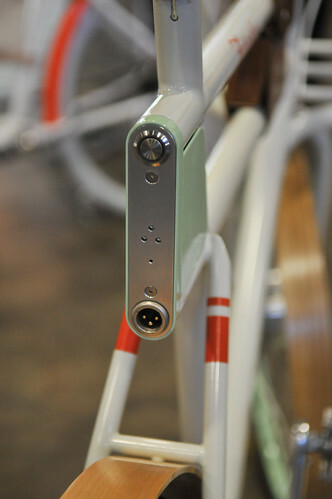 They would simply extend the wires from the batteries to the power regulating electronics behind the seat post intersection. What happens when it’s time to change batteries? Removeable front rack is nice- with the double top tube design, though, looks like another product not reasonable for shorties. Also the leather accents are unnecessary and gross. Digging the lights, though! Is the XLR connector mic or line output? That’s a common e-assist charging connector. +. -. and monitor that tells the charger whenall the cells are full and balanced and time to turn off. Gorgeous! Now get the cables out of the cargo bay. Great to see Paul Sadoff (Rock Lobster) get some well deserved attention. 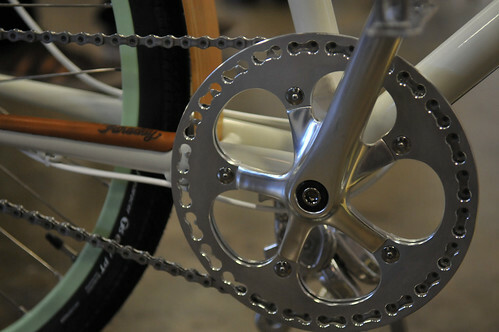 He’s been cranking out beautifully built, reasonably priced bikes for decades. that’s an awesome bike! I want one! Let’s not put the cart before the horse. 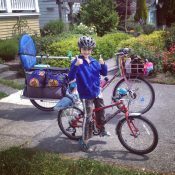 Why use narrow handlebars on a bike that may have a heavy front load? 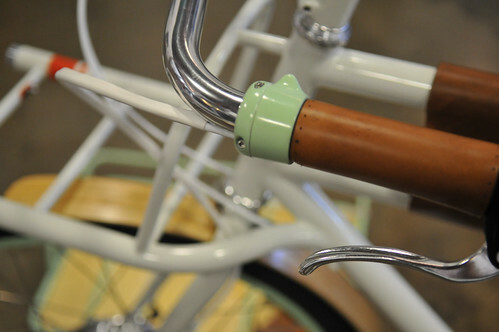 Why have brake levers point forward where they can hook on things? As mentioned previously, the short seat tube is a poor form as well. Some design decisions are a bit dubious on this one. Love this entry; beautiful and clean. While it’s a very nice bike in many ways it’s just a pretty game in others. I agree that front pointing brake levers are out of the question for catching things and that narrow bars aren’t nice for controlling loads. All the “custom made” bits are pretty but the real world the cost will be pretty too. Take the concept and refine it for functionality and it could be good. BTW I ride 3 ebikes in SF and have for years. 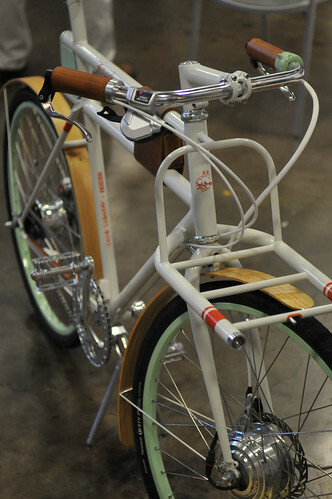 The “short seatpost” is called a “seat mast” and is a design feature of a number of high end bikes. It saves weight and, to many people, looks quite good. As implemented on this bike you still get about 3 inches of seat height adjustment which is more than enough for one person (or a range of people actually). Do the front lights work when the rack is on? I am wondering how the battery placement affects the center of gravity. I’d hope the lights use euro style lenses so as to not dazzle oncoming motorists. Is there any chance something like this would make it to production? 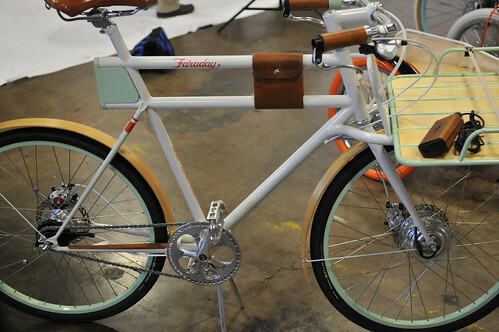 I want this bike!!! Late in commenting on this but did any other geeks out there pick up on the name? I’m betting it’s after Michael Faraday, the person credited with discovering electromagnetic induction. Nice nod, if so. However the bike is beautiful and the system integration is wonderful. My commute is 40 miles a day and I have oftener toyed with the idea of getting an electric assist when I’m being pounded by the wind. 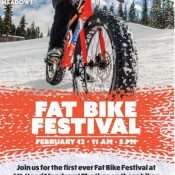 Bottom line, if this gets more people riding then it is a success.